International trade fairs such as Prolight + Sound are the perfect opportunity for the Swiss laser manufacturer to present their newest developments to a public from all over the world. 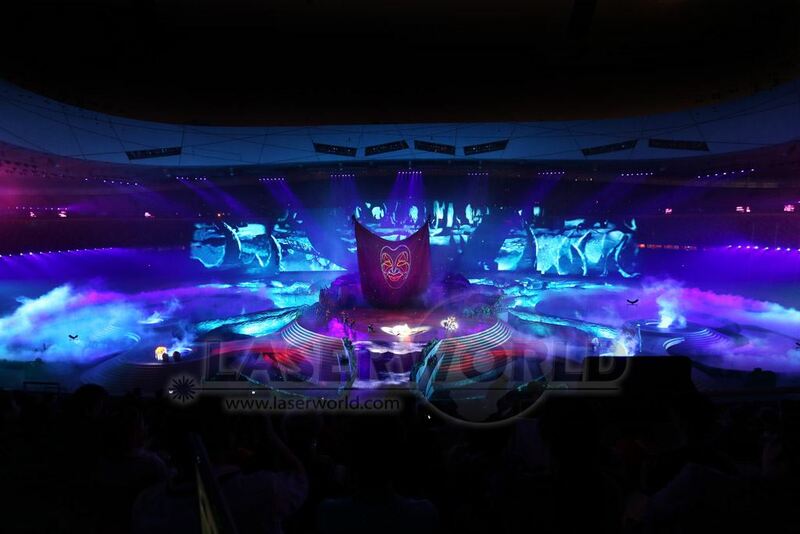 According to Stangl the Chinese organizers always want “Made in Germany” on their technology, most recently in the former Olympic Stadium in Peking. 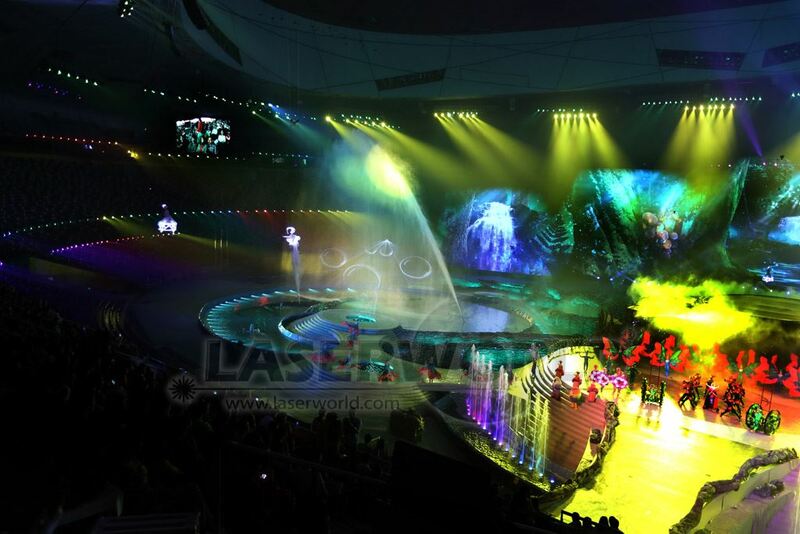 From September to October 2013 “Attraction”, a colourful multimedia show, resided in the so called “Birds Nest”. It tells the story of a young couple in love, who after the imprecations of a devil, find themselves in a dismal world. The requirements of the performance were very high. 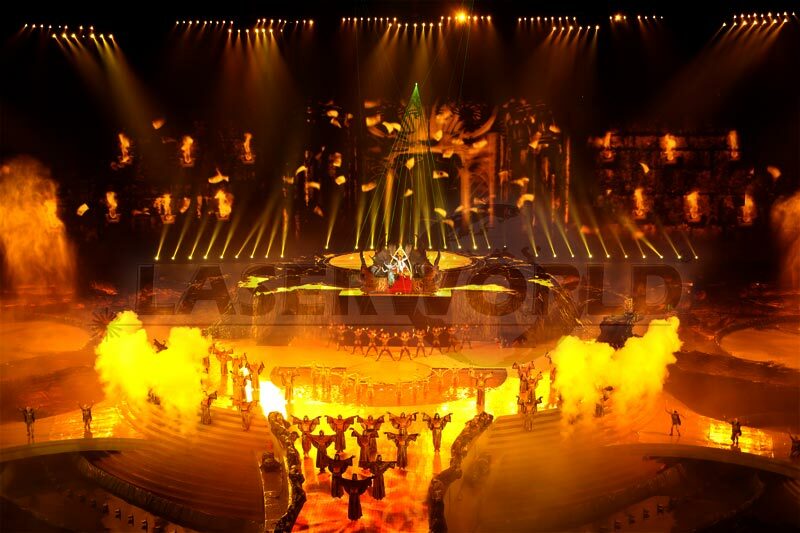 In addition to conventional lighting effects many different kinds of special effects and media were needed. An LED wall allowed for quick scene changes. Water fountains were used for special effects. 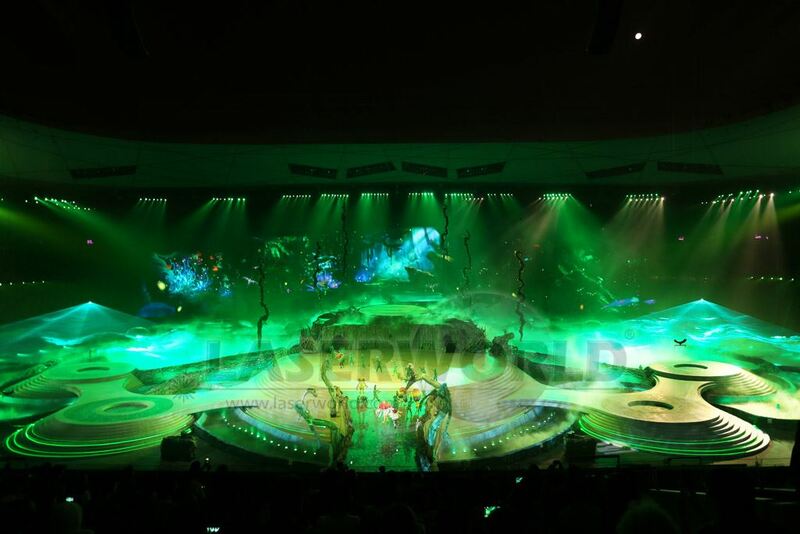 Very large water screens were used as flexible projection areas for videos and laser. 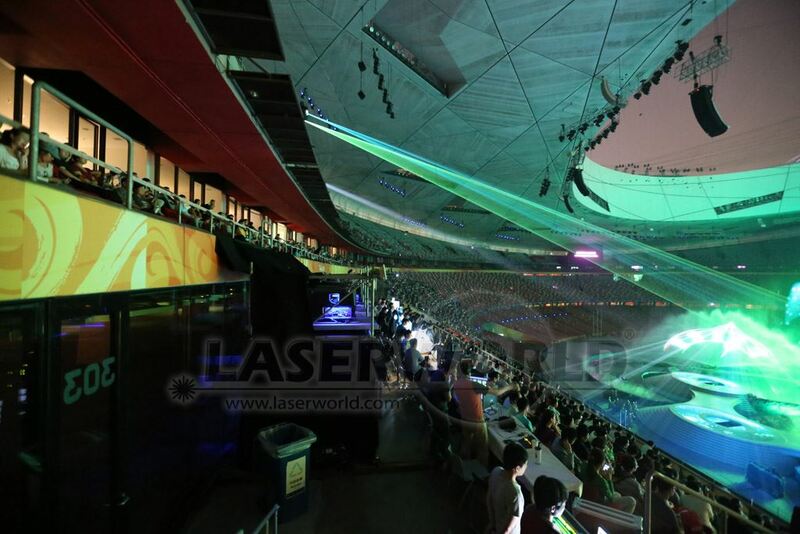 Only high-end laser systems from RTI, the PIKO and NANO series, were used. “The latter have proved very reliable. In addition to their extreme jet precision and the high definition deflection unit; they also have a water proof casing, which when used near water fountains and water screens is a clear advantage,” said Stangl. 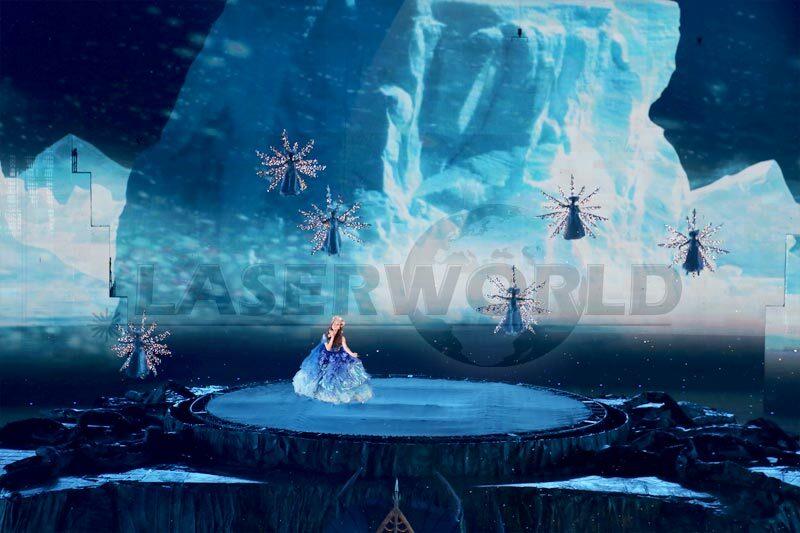 The Chinese were delighted, “The professional and dependable quality is highly regarded.” That is why at Laserworld the experts continually work on their technology. Especially the optical considerations and the thermal parameters of laser systems are crucial factors in the development divisions. Stangl does not want to reveal too much. That’s why there are trade fairs like Prolight + Sound.